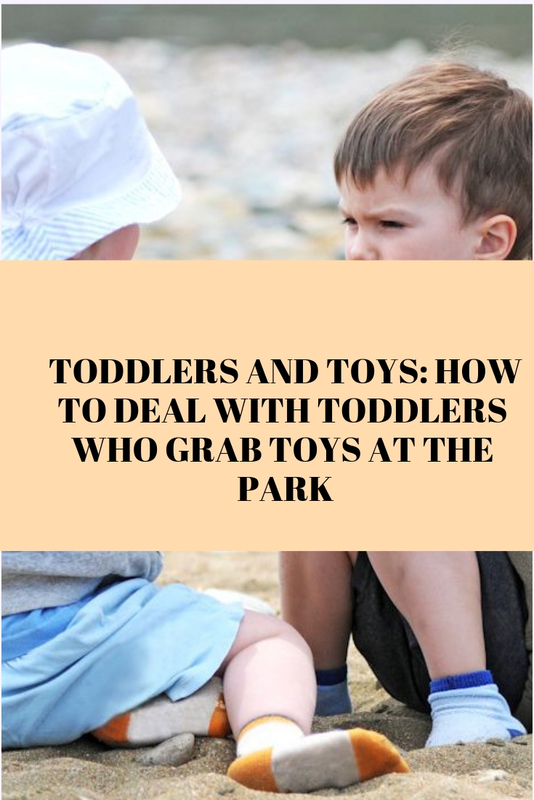 What do you do when your child grabs another child’s toys at the park? Discover several awesome strategies here. I received a great email from a customer, John, in California the other day asking for help. I decided to turn my answer into a blog post because it’s one of those questions that you just know millions of other parents are dealing with. The father who wrote it is struggling with his 3-year-old son. The boy seems to be grabbing toys from other children in the playground. When the father corrects the matter (presumably taking the toy away and returning it to the other kid), his son cries and screams. I love getting emails like this. It takes me back to the days when I too had “toddler toy takers”. So many parents go through this phase with their kids, and it’s perfectly normal. Kids have to develop. They have to go from knowing nothing about social etiquette, and right from wrong, to actually understand these things. The only way to get there is to experience these situations first hand. John, you are not alone! As parents, I’m sure most of us can relate to the stress and frustration of dealing with this problem. Despite logically understanding that these child behaviors are normal, we all somehow think that the other parents will see our kid as a thief in the making. It causes parents to worry and feel embarrassed. The good news is you don’t need to feel this way, and your child will grow out of this behavior as he or she develops social skills. This is all apart of growing up. Enter your child’s world. I use this expression a lot, and for good reason. As a parent, you need to really understand what it is like to be in your child’s shoes. The toy taking behavior could be as simple as your child’s curiosity, or your child’s way of trying to engage in play with another child. Most likely he doesn’t realize he’s doing anything wrong. Approach your child with a gentle hand, no matter how you handle it. Set expectations while you are not at the park. In a non-threatening manner have a talk about the child’s behavior. Do this at home before going to the park. If you only bring up the topic when the offense has taken place, emotions are engaged and you’ll get nowhere. A three-year-old can listen and express himself just fine. Roleplay. One way to discuss this at home is to role play. 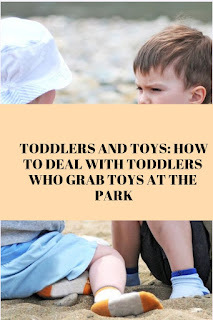 Have your child hold a toy and pretend he’s at the park. You play the role of another child. Go take the toy away. Ask your child how he’d feel. Then do something else instead of toy taking. Ask your child if you can play with him. Ask if you can borrow the toy. Role-playing will teach better social behavior. Use logical consequences. Once your child understands the social rules, you can implement logical consequences. Again, you have to communicate the consequence ahead of time, to explain what happens if your child was to steal toys away from another child. A good logical consequence is to leave the playground. A poor consequence is something like “no dessert tonight” – because that would be totally disconnected from the behavior Logical consequences must be communicated in advance and relate to the behavior. Avoid emotion. When you implement a consequence, always remember to be unemotional and calm. No nagging or whining. No guilt trip. Think of it like a policeman writing you a parking ticket. You get a fine, not a lecture. Think outside the box. Here’s another idea that I bet you won’t have thought of – Ask the caregiver of the other child to politely take the toy back and explain that it doesn’t belong to him. Your child will likely be shocked and confused by this. I suspect this will be a much more powerful lesson to your child since it isn’t mom or dad (or a usual caregiver) correcting the problem. He may cry and come running over to you. That’s fine. You can then remind him of social rules, or explain to him what just happened. You’ll be in a supportive coaching role rather than trying to police the situation. Encourage your child to go back and politely ask to join the other child in playing. Teach “use your words”. Always encourage your child to use their words instead of grabbing. Over time, they will see the benefit in this. Remember we all learn lessons by making lots of mistakes. This goes for you as a parent, and for your children. Come back to the park on another day and practice again. Want to learn three more powerful language tricks? Listen to this free audio lesson. Do it now because you’re going to love it!